October 16th, 2018 marks World Food Day, an International Observance promoted by the United Nations and recognized by Globcal International. This article by Herve Verhoosel, Senior Spokesperson at the UN World Food Programme (WFP) and is republished from the Inter Press Service, News Agency to observe World Food Day. How much would you expect to pay for the most basic plate of food? The kind of thing you might whip up at home – nothing fancy, just enough to fill you up and meet a third of today’s calorie needs. A soup, maybe, or a simple stew – some beans or lentils, a handful of rice, bread, or corn? In the rich Global North – say, in New York State, USA – such a meal would cost almost nothing to make: 0.6 percent of the average daily income, or US$1.20. In parts of the developing world, by contrast, food affordability can shrink to the point of absurdity: in South Sudan, a country born out of war and disintegrating into more war, the meal-to-income ratio is 300 times that of industrialized countries. It is, in other words, as if a New Yorker had to pay nearly US$348.36 for the privilege of cooking and eating that plate of food. How do people in South Sudan afford it? It’s simple. They don’t. This is not a unique issue to South Sudan. Across the board, food is becoming ever less affordable in poorer countries that are subject to political instabilities. Lack of access to food, and the costliness of it, have many causes: climate extremes, natural disasters, post-harvest losses, or bad governance, all of which can damage- or even shatter- farming supply chains and markets. But, one overriding cause stands out: conflict. At WFP, we’ve long known that hunger and war are tragically symbiotic. Which makes it that much harder to eradicate the one without ending the other. The 2018 edition of WFPs Counting the Beans: The True Cost of a Plate of Food Around the World index, now spanning 52 countries, underscores this clear correlation between food affordability costs and political stability and security. The index looks at whether food costs for the original 33 countries analyzed in 2017 have risen or fallen, and compares costs for the same meal in some of the world’s poorest places with one of its richest, by using a New York baseline to highlight vast gaps in global food affordability. In many countries, it was found that food affordability measured in this way has actually improved since 2017. This is situational, thanks to strong economic growth, political stability, and/or a better rainy season- or in the case of southern Africa- humanitarian assistance helping to offset the effects of severe drought. Though despite such progress made in many countries through the past year, food costs are often still intensely disproportionate in relation to income. This is the case across much of Africa, as well as in parts of Asia and, to a lesser degree, of Latin America. Among the countries surveyed for the study, Peru tops the list with the most affordable plate at the NY equivalent of US$ 3.44, just 1.6 percent of per capita income, vs. what that same plate would cost in New York, amounting to 0.6 percent of per capita income. While Laos and Jordan are close runners-up to Peru, other countries have deteriorated. Almost invariably, these are nations where peace has been (further) eroded by violence, insecurity or political tension, including South Sudan- where the cost of a plate of food has soared from the exorbitant 155 percent of daily income in 2016 (USD $321.70) to 201.7 percent of daily income in 2018 (USD $348.36). 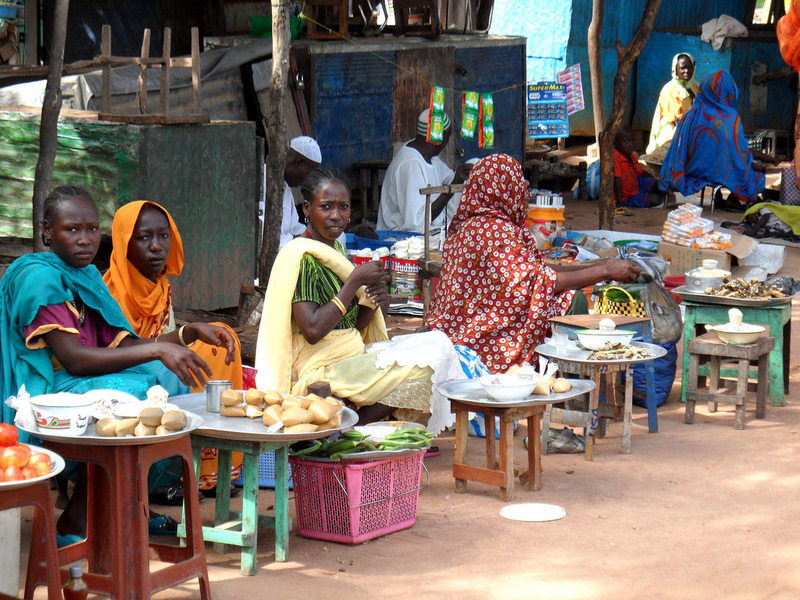 It now costs twice the national daily income to buy a plate of food in South Sudan. Northeast Nigeria took second to last place, at USD $222.05, or 128.6 percent of daily income in 2018, up from USD $200.32, or 121 percent of daily income in 2016. These abysmal numbers highlight the vast gaps in global food affordability, where 821 million people go hungry while elsewhere one can get a simple nutritious meal with a just a handful of change. The fact that this still occurs defies both reason and decency, and it’s why we – the World Food Programme and other humanitarian partners – are there. However, the impact of WFP and other humanitarian actors in saving and changing lives cannot be sustained without political investment, good governance, transparent markets, and wider partnerships. Societies cannot lift themselves out of the poverty trap if families are continuously priced out of providing their children with the nutritional meals essential for them to develop into healthy and productive adults, if climate degradation continues to threaten food security and development gains, and if protracted conflicts continue to destroy societies and force young talent elsewhere. With a concerted global effort, the international community can achieve the UN Sustainable Development Goals and end hunger and malnutrition. Governments must engage with and support their developing country counterparts in peacebuilding, conflict resolution and disaster risk reduction. The private sector must embrace that turning a profit can go hand in hand with advancing the Sustainable Development Goals (SDGs) through employing young people to boost incomes, sourcing from smallholder farms, and through working alongside leaders to strengthen supply chains. The shocking and outraging numbers in this year’s “Counting the Beans” index highlight that peaceful societies and affordable food go hand in hand. We have the modern technological capacities to end world hunger, but first we must end the conflict that fosters it. Together, we can work towards reversing the figures in this year’s index, and ensure that in the future, nobody will have to work a day and a half to afford a simple meal. What is ‘Blockchain’ and How is it Connected to Fighting Hunger? The World Food Programme (WFP) is testing the use of blockchain, a bold technology that can potentially transform the fight against hunger. Blockchain technology, most famously associated with the crypto-currency Bitcoin, offers unique opportunities for humanitarian agencies to provide the best-possible assistance to vulnerable people around the world. Put simply, blockchains provide a way for two parties to do business with each other without the need for a trusted third party. Akin to emails, information on the blockchain can flow from one address to another. The content of the message, for example, can be a value transfer, a beneficiary’s ID, or somebody’s health records. An identical record of all messages on a blockchain is available to every participant (or ‘node’) on the blockchain, which can be many thousands or more. Because there are so many copies of the data on the blockchain network, it is exceedingly difficult for a would-be attacker to alter the records and falsify transactions. Should this happen, however, it would be immediately obvious that there has been an intrusion. This makes the blockchain much more secure than traditional, centralized systems, and renders its records unchangeable. In recent years, WFP has significantly scaled up its cash transfers. In areas where markets and services are well functioning, these transfers are often more effective and efficient at improving livelihoods. Not only do they allow recipients to choose which food to buy, they also inject much-needed cash into local economies. 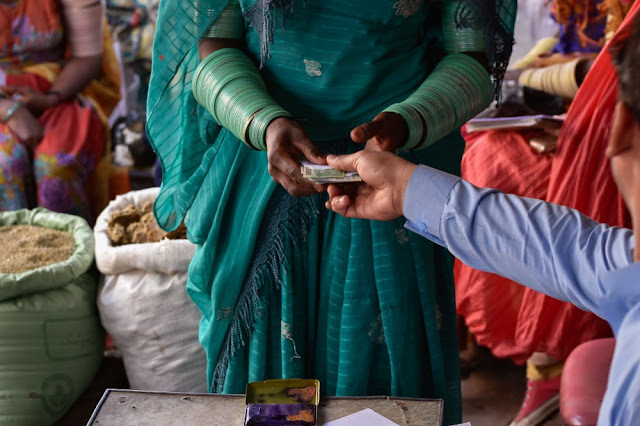 WFP’s Innovation Accelerator is therefore exploring approaches to delivering cash-based transfers in order to reduce costs and risks, while improving data protection and speeding up delivery. 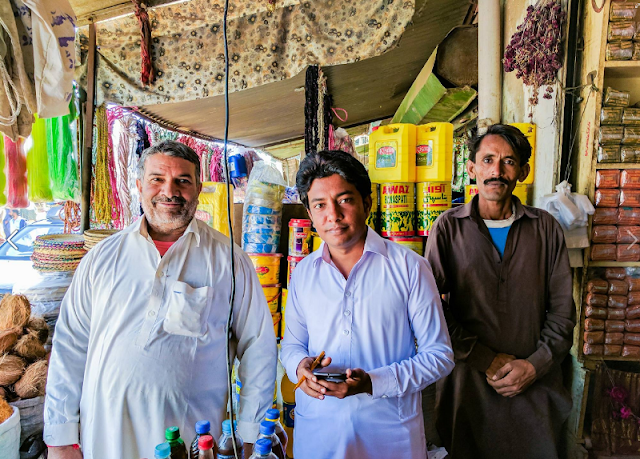 The first, successful test at field level of WFP’s blockchain innovation — called ‘Building Blocks’ — was carried out in January deep in the heart of Sindh province, Pakistan. As vulnerable families received WFP food and cash assistance, the transactions were authenticated and recorded on a public blockchain through a smartphone interface. Transaction reports generated were then used to match the disbursements with entitlements. “Blockchain can revolutionize the way WFP delivers assistance to vulnerable families across the globe. It can bring us closer to the people we serve and allow us to respond much faster,” said Farman Ali, from the WFP Karachi provincial office. Using the lessons learned in this first phase in Pakistan, WFP is now moving towards a full-scale pilot. Blockchain has the potential to allow faster intervention in some of the world’s most difficult environments. For example, in vulnerable countries lacking financial infrastructure, blockchain could help humanitarian actors roll out life-saving cash assistance in a matter of days when disasters strike. Blockchains can be seen as a foundational technology akin to the internet, upon which many different applications can be built. Just as email was the first widespread application of the internet, payments have been the first widespread application of blockchains. And just as the internet rapidly expanded beyond email, blockchain applications have already expanded beyond payments. WFP is monitoring the scope for applications beyond cash-based transfers, identity management, and supply chain operations. The full potential of blockchains can only be realized if all humanitarian actors collaborate around this platform. Republished from the World Food Programme blog on Medium. 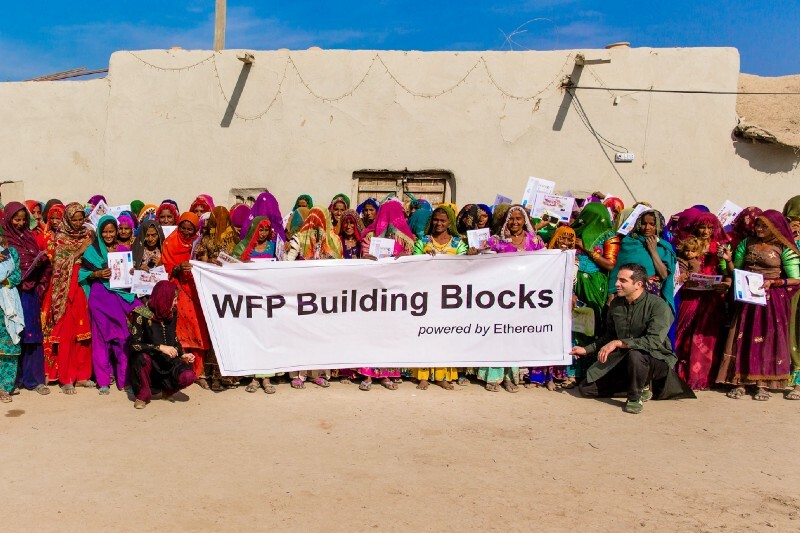 Learn more about how WFP is harnessing the potential of blockchain technology to enhance our ability to provide effective, efficient assistance to the people we serve — and save millions of dollars. Based in Munich, the Innovation Accelerator combines internal WFP staff with experts and entrepreneurs from across the private sector and civil society. Teams collaborate for three to six months on ideas that are either proposed by WFP innovators with first-hand field knowledge, or crowd-sourced by members of the public. For more information, contact: global.innovation@wfp.org. The Accelerator is generously supported by a network of public and private partners and funded by the German Federal Foreign Office alongside the German Ministry for Economic Cooperation and Development and the State of Bavaria.